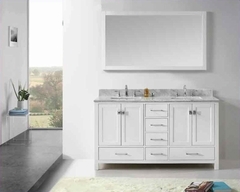 The look and feel of Old World Spain have been beautifully captured in this grand collection. 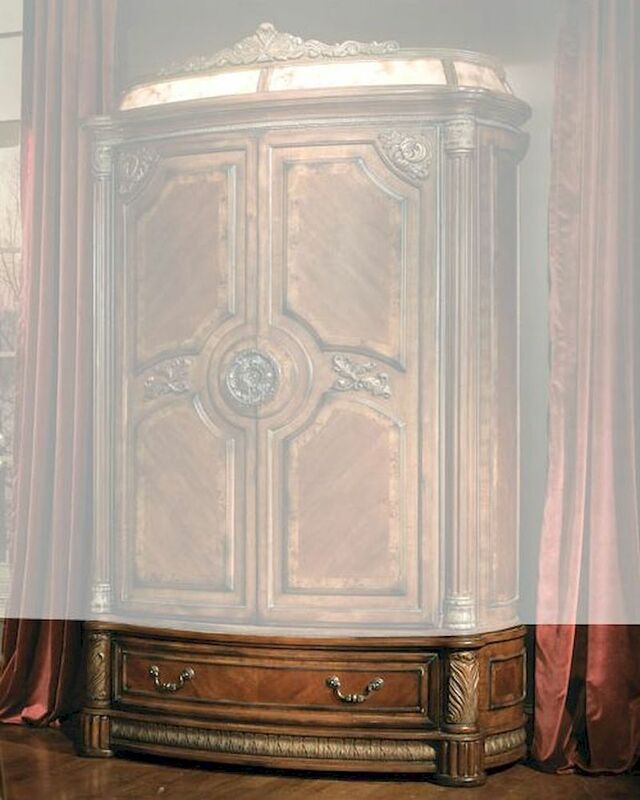 Beautifully crafted from Birch solids with Cherry, Pecan, and Elm Burl veneers, the distinctive marquetry and intricate embellishments compliment a classic chestnut finish. Uniquely twisted and shaped marble pilasters with carved wooden leaves wrapping around adorn some of the pieces. 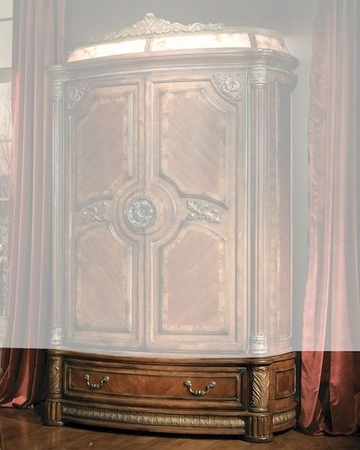 Armoire Base - 56"W x 24"D x 17"H.